INDUSTRY.co.id - Jakarta - Siemens succeeded in energizing or synchronizing ten high voltage substations owned by State Electricity Company (PLN) and industry. The main axle is an integral component of the electrical grid as well as acts to transform electrical power with different voltage levels. 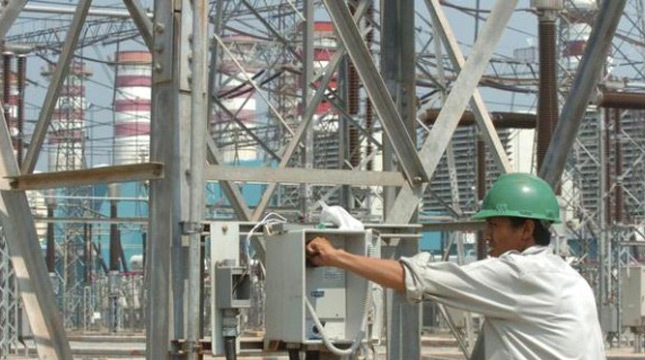 The ten substations are spread in several locations in Indonesia such as Jakarta, West Java, North Sumatra, South Kalimantan, and South Sulawesi. Siemens participates in the design, procurement and delivery of electrical, automation, and mechanical equipment and installation, testing and commissioning work for Air Insulated Switchgear (AIS), Gas Insulated Substation (GIS) and Gas Insulated Line (GIL) projects with capacities of 150kV up to 500kV. "Siemens is recognized as a leader in the electricity sector, as evidenced by our success in energizing or synchronizing the ten substations of PLN and the industry. We are proud to take part in the efforts of the Government and PLN to provide adequate electricity supply to meet the growing national demand, "said Jitendra Pratap Singh, Head of the ASEAN Transmission Solutions Business Unit, PT Siemens Indonesia. As the country with the fourth largest population in the world, Indonesia's electricity demand is increasing rapidly every year. To meet these needs, the Indonesian government has launched the 35,000 megawatt Strategies Program to ensure the availability of electricity supply by 2020. Within 5 years, the Indonesian government together with PLN and the private sector will build hundreds of electricity infrastructure throughout Indonesia. For that PLN needs to collaborate to get the capacity, resources, experience and expertise required.